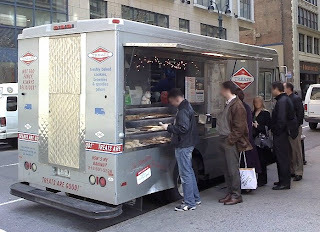 I overheard the legend of The Treats Truck from friends a while back; a gray truck that travels around Manhattan and parks at different locations, depending on the day of the week or time of the day. Afterwards every time I decided to look up the location of the truck on the web I completely forgot about it. Then few months ago when I joined the Twitter I bumped in to The Treats Truck's tweets. I knew then that this was a sign to make a run for the truck. Luckily my office is only a ten minutes walk from their Midtown location so it wasn't long I was on the line waiting to get my share of the treats. 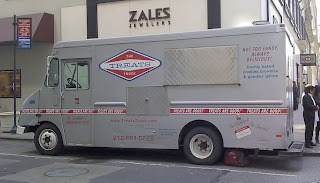 The Treats Truck has few different locations where they park. The two most recent locations have been the South East corner of 38th street and Fifth avenue and the Sixth avenue and 45th street. They also go over to the Upper West Side but you will need to stay tuned for their updates for the exact location. You can either signup for their updates on the web site or just like I did, follow them on Twitter. The Treats Truck's menu is so full of choices that once you step up the counter you simply can't make up your mind on which one of these delicious treats to choose from. Some of the popular items are Chocolate Chipper, Peanut Butter Sandwich, Classic Crispy, Chocolate Chip Brownie, Caramel Creme Sandwich and Pecan Butterscotch Bar. Of course to make your decision making process even harder there is even a selection of Daily Specials. At my last visit I bought the Chocolate Chipper, Caramel Creme Sandwich, Classic Crispy and the Peanut Butter Sandwich. 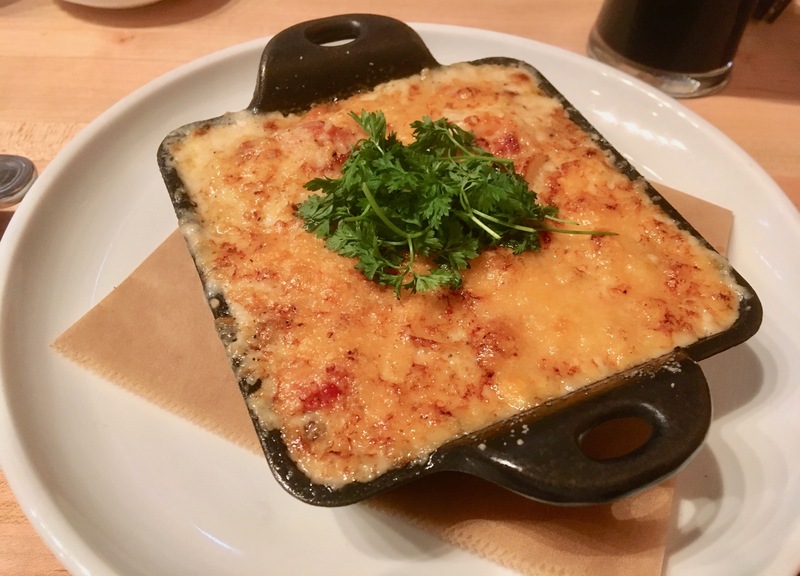 Take a look at menu on their web site to see whole bunch of other options. The prices are between $1 to $3 and they are all well worth it. Make sure to say thanks to Kim for making this possible for all of us to enjoy her irresistible baking and grab your ten-for-one card to get your free treat after your tenth purchase. Pros: Fresh baked goods. Reasonable prices. Delicious sweets.